** The Number of Mass Shootings Continues to Increase - Why? Article series: The Right Response? Do Guns Kill You, or do Guns Protect You? Some of these were at schools where, thanks to Republican President George H. W. Bush, the Federal Gun Free School Zones Act was passed in 1990. In 2012 - just one single year rather than a whole decade - the Washington Post lists 14 cases of mass shootings. So are the ever more restrictive gun laws producing the desired effect? Or are the stringent gun bans at schools increasing the number of massacres? Such dismal results suggest that America needs to critically explore liberal thinking and the reasons for the political gun-control agenda. 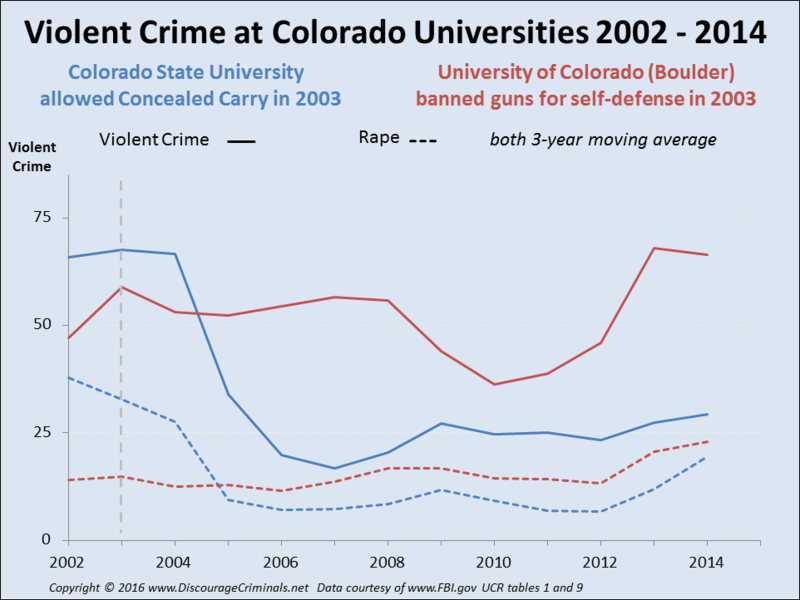 After Colorado's 2003 concealed carry law was enacted, the University of Colorado disarmed their students, while Colorado State University allowed them to concealed carry. Since the external factors are reasonably similar, their very different results maintained over 12 years give an eye-opening comparison of their effectiveness. 2. The Effect of Gun Control in Washington D.C. Curiously, liberals seem to believe that yet more stringent gun laws will eliminate the guns possessed by criminals and deranged individuals. But the evidence shows that nothing further could be further from the truth. 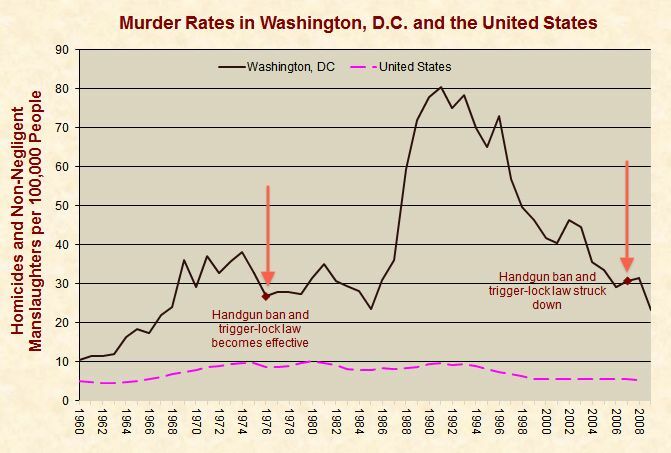 According to JustFacts.com, during the thirty plus years in which the Washington DC handgun ban and trigger lock law was in effect, the D.C. murder rate averaged 73% higher than at the outset of the law, while the U.S. murder rate averaged 11% lower. 3. Do Assault Weapon Bans Protect Citizens? According to wikipedia.org, the USA has 4.8 deaths per 100,000 people while Britain and France have just 1.2 and 1.1 deaths per 100,000. So Europe with a four times lower homicide rate is far more peaceful than USA. But is this the result of stringent gun control laws? 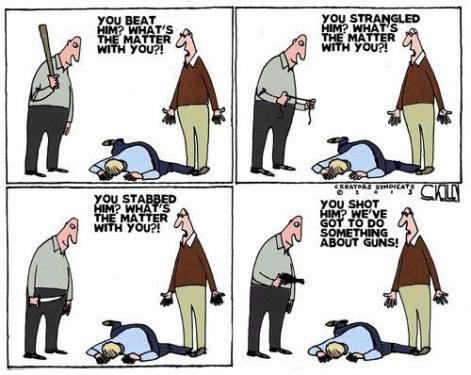 Does disarming the law-abiding result in less deaths? No. The homicide rate in heavily armed Switzerland is even lower! Now just 0.3 per 100,000, well over ten times lower than the USA and more than half the rate experienced by gun-free Britain. Switzerland proves that extremely high levels of gun ownership result in an even safer society. Every household has assault weapons from their army training hanging over the fireplace. 4. Do Guns kill People? 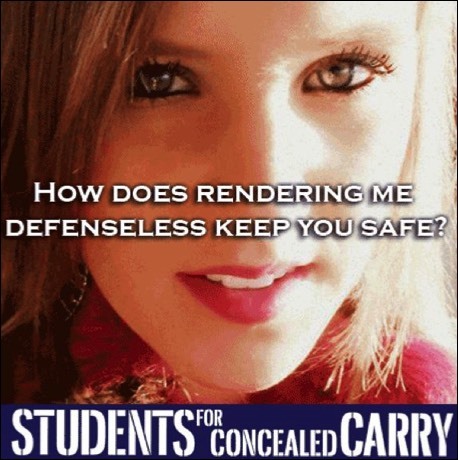 Or do Guns Protect You? Gun control fanatics pretend that high numbers of guns result in high levels of violence which, without checking the findings of guns bans, seems plausible. But the empirical evidence shows otherwise. The obvious truth they're missing is that people kill other people using knives, hammers, ropes, automobiles, and guns. Yet the knives, hammers, ropes, and automobiles are not held responsible, and nor should guns be - it's people not guns who kill other people. Switzerland is the safest country in Europe , whereas in countries such as Jamaica the gun ban has drastically increased violence . 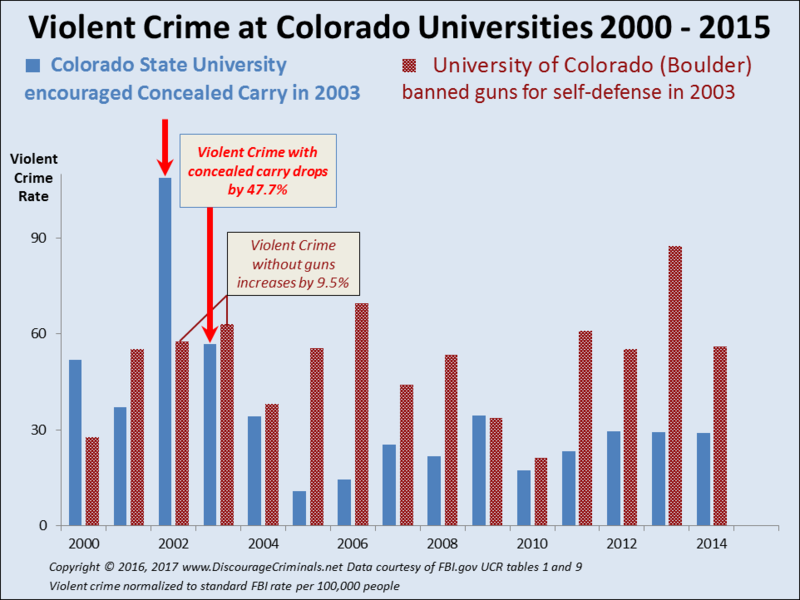 In the USA, from states such as Washington DC, and universities in Colorado, the incontrovertible evidence demonstrates the mistake in liberal and democratic thinking. Thousands of times more often, a gun is not used to kill but to protect you instead! "Guns are our friends because in a country without guns, I'm what's known as "prey." All females are." When women and seniors are armed, they can defend themselves from attacks by usually young, male and much stronger violent criminals, rapists, and terrorists.